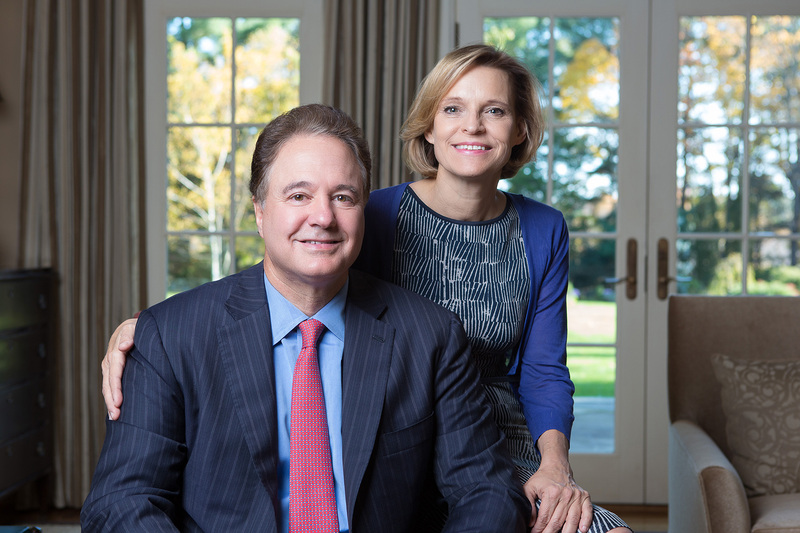 The Pagliuca Harvard Life Lab was made possible by the support and generosity of Judy M. Pagliuca (MBA 1983) and Stephen G. Pagliuca (MBA 1982). 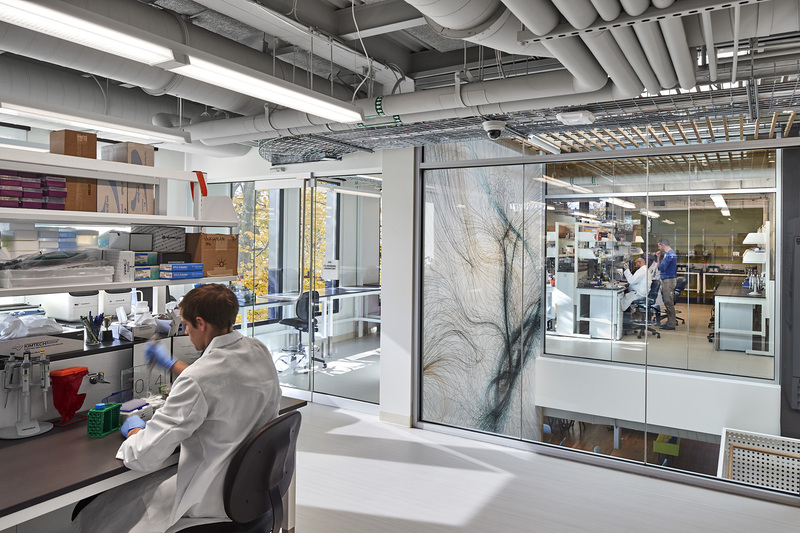 Dedicated in the fall of 2016, the Pagliuca Harvard Life Lab is a shared laboratory space for high-potential life sciences and biotech startups founded by Harvard faculty, alumni, students, and postdoctoral scholars. 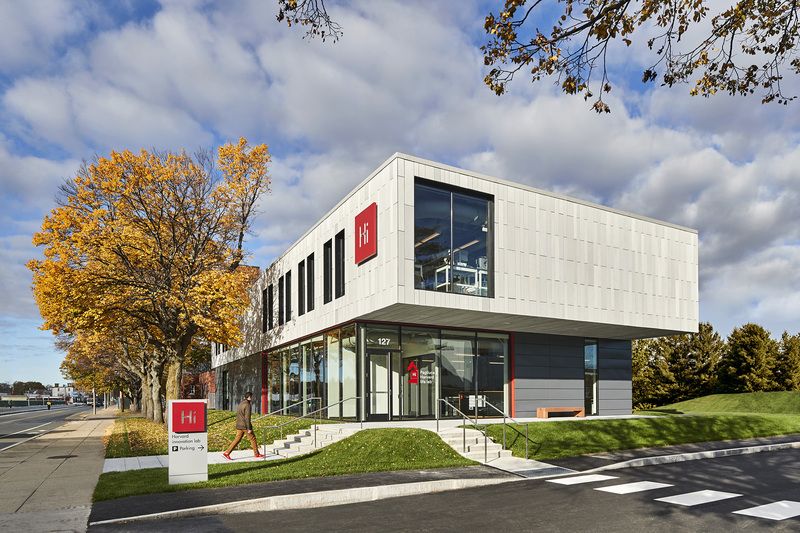 The two-story, 15,000-square-foot facility on Harvard’s Allston campus is a fully-equipped and permitted laboratory and office space for early-stage companies and is adjacent to the Harvard i-lab and Launch Lab. The first floor consists of 50 coworking spaces designed to be family friendly with a fully stocked kitchen, office supply center, conference rooms, lockers, filing cabinets, and wifi. The second floor offers 36 lab benches comprised of a private suite and coworking lab. The facility, operated by Lab Central, is bio-safety lab level 1 (BL1) with dedicated bio-safety lab level 2 (BL2) rooms. The space is supported by fume hood alcoves, tissue culture rooms, refrigeration, a microscopy room, and associated operational infrastructure. The Harvard Innovation Labs is a vibrant, cross-disciplinary ecosystem for the Harvard community to explore innovation and entrepreneurship while building deeper connections. The Pagliuca Harvard Life Lab gives Harvard students and other members of the University an opportunity to participate in biotech and other life-sciences ventures that require wet lab facilities to test chemicals, drugs or other materials. It provides an experiential, educational environment where students and faculty can put classroom ideas directly into practice. The proximity of the three innovation labs together provides access to the resources, programming, and community necessary to help startups succeed. The Pagliuca Harvard Life Lab is contributing to a thriving start-up community in Allston by seeding the campus with early-stage scientific ventures. Together with the i-lab and Launch Lab, the Pagliuca Harvard Life Lab fosters the cross-disciplinary approach to entrepreneurship that will enable deeper impact and outcomes. "We are so very grateful to Judy and Steve for their gift that made this project possible. And we are equally grateful for their vision of having Allston become a life sciences cluster and their understanding of the need for lab space to support Boston as a hub for biotechnology ventures," said Harvard Business School Dean Nitin Nohria. Harvard President Drew Faust added, "The Life Lab is a vital building block in Harvard’s efforts to create an innovation hub in Allston that encourages our students and faculty to explore and nurture ideas that lead to new knowledge, new products, new services and perhaps even new industries." The Pagliuca Harvard Life Lab is named in honor of Judy M. Pagliuca (MBA 1983) and Stephen G. Pagliuca (MBA 1982). Originally from Chicago, Judy earned a BS of Mechanical Engineering from the University of Illinois and an MBA from Harvard Business School (MBA 1983). She is the managing partner of PagsGroup, where she invests in startup companies in the Boston area, working with founders to help grow their businesses. Judy is involved in a large number of philanthropic endeavors focusing on children and education and is a founder of Step Up Your Game and a trustee of the Benjamin Franklin Institute of Technology. Steve received a BA from Duke University, an MBA from Harvard Business School (MBA 1982), and is a Certified Public Accountant. He is the Co-Chairman of Bain Capital, a leading global private investment firm based in Boston. Steve is also the Managing Partner and Co-Owner of the Boston Celtics, playing a leadership role in the development of basketball strategy and operations. Steve is the President of the Boston Celtics Shamrock Foundation and is active with several other non-profits. He is also active in political causes and believes in a "big tent" philosophy that works to find common ground among different public opinions. At HBS, Judy and Steve have been active volunteers serving over the years as Co-Chairs of their respective MBA Class Reunion Campaigns. They are three-term members of the HBS Board of Dean’s Advisors and are currently serving as Vice Chairs for the HBS Campaign. Additionally, Steve has served on the Health Care Initiative Advisory Board since 2006. Commenting on the gift in 2016, Steve noted, "We believe innovation in the life sciences is critically important to the future of our region from an economic standpoint and equally important to all of our futures in its potential to solve complex health problems." "We are thrilled to be able to contribute to the innovation movement at Harvard and we are excited at the potential of the ideas that will emerge from this new space," Judy added.